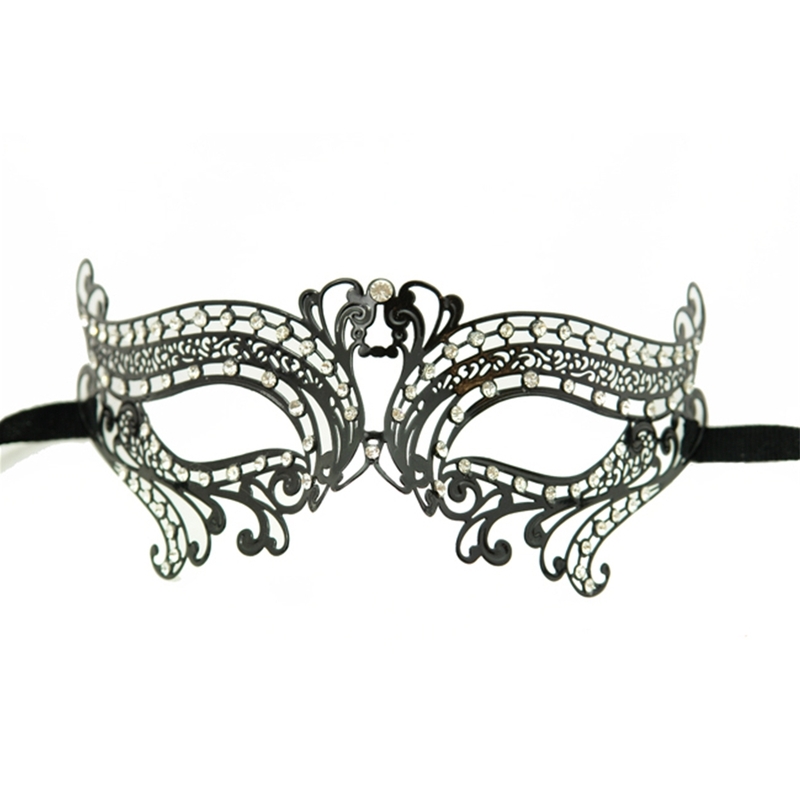 These black metal venetian half masks are the newest in PartySuppliesDelivered line of great black metal masks. No masquerade ball is complete without some beautiful masquerade masks to go with it. Whether you are dressing up for your school prom or homecoming or just having a great made grass or carnival party to celebrate, you can&apos;t go wrong with our great selection of venetian masks, masquerade half masks, deluxe metal half masks or any of our full face masquerade masks.We also have a great color selection to match whatever color you may be wearing at your masquerade ball. from brown to sky blue we have a wide variety of masquerade mask colors to fit your needs. Our collection of metal venetian masks can only be beat if you traveled to Italy. Our metal half masks are laser cut and have very detailed designs from swans to butterflies to traditional venetian mask designs.